This cool little arcade focuses on vintage games from the mid-80’s and older titles. The arcade is only open on Friday nights (6-11PM) and the weekends after lunch (1-10PM Sat, 1-8PM Sun & Holidays). We were lucky to fit a visit into our holiday schedule, but I’m pleased we did! The arcade is a little off the beaten track, located a couple of minutes walk from the main strip, behind Yodobashi. On our way to Natsuge Museum, we walked along a dimly lit street, passing by some traditional looking bars packed with Japanese salarymen. And, erm, this interesting looking venue! In addition to cocktail and candy cabinets, the arcade had a couple of dedicated machines – Quartet 4P, Super Punch-Out! !, and Space Invaders. With space a premium, dedicated cabs are very rare in Japan. There are also gaming related goods for sale including sound track CD’s, gachapon, books and GameSide magazines, and models. Saturday 11th February 2012. It was an icy cold night as I waited outside Iceni Warriors Gym, Norwich. 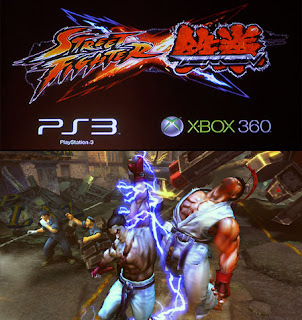 I was there for the Capcom UK Fight Club Tour, a chance to check out the latest build of Street Fighter X Tekken. Stood next to me in the queue was the European Mortal Kombat champion. I only had two games on SF X Tekken. It didn’t go well, getting a major thrashing from a girl. I blame my hands as they were still frozen from waiting outside! It was cool of Capcom to host this event, a chance to have a few games and chat to fellow players. I ended up spending most of the evening chatting to a massive R-Type fan about Irem! The free beers and pizza were very welcome as well. It was a good evening. If Fight Club comes to your town, check it out! I received this awesome package today from Rancor over on the Shmups forum. The package contained GameSide Shooting Vol.04, an OutZone Doujin Superplay D.V.D. and a nice selection of Kit Kats (conveniently just in time for Valentines Day! ).